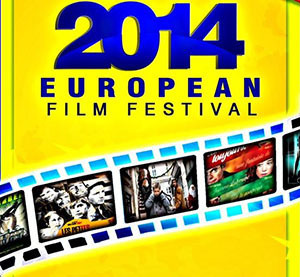 Manipal, Oct 13, 2014: According to a press release, Manipal Centre for European Studies (MCES) of Manipal University will be organising ‘EU Kinotekas 2014,’ European Film Festival Week from October 13 to 16, 2014 at AC Seminar Hall of MIT between 6 pm to 8 pm everyday. The select European films from Poland, Bulgaria, Luxembourg and The Netherlands that are travelling across Indian universities will be screened during the event. First Councilor of Political Affairs of the Delegation of European Union to India Silvia Costantini will inaugurate the film festival on Monday at 6 pm. The European students and faculty members who are present in the campus will make brief presentations of the history, culture and people as well as the movie of the country everyday before the movie is screened. “Europe houses a vast diversity, of languages, cultures and socio ethnic groups. However, this diversity is not divergence, and in fact is precisely one of the elements of similarity between Europe and India, each of whom live proudly under the principle of “unity in diversity”. To represent this diversity, The Embassies of the European Union Member States and the EU Delegation, has selected some of the European films and send them to universities across India as a part of Kinoteka project. The purpose of this project is to show some of the Europe’s facets through films and also generate benefitting discussions on the Society and Cultures of Europe among the scholars”, says Joao Cravinho, the Ambassador of the European Union. The film festival event is open to all.